The development and implementation of telecommunications networks and services has traditionally been a long drawn out affair. Even the smallest project might have an 18 month gestation period. Major network roll outs much longer. 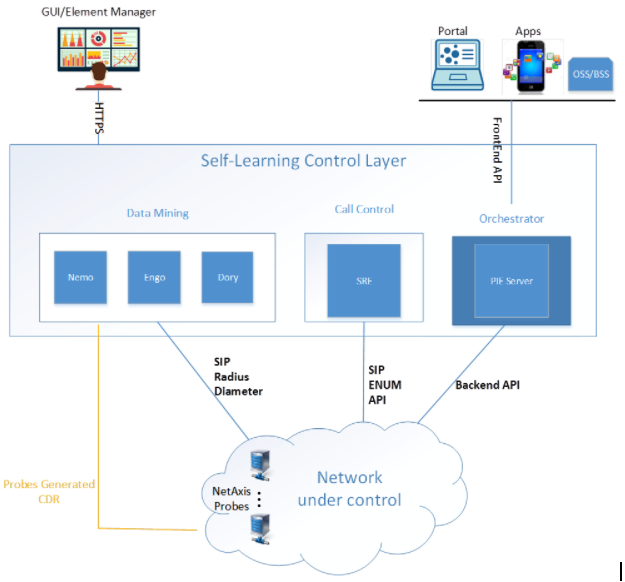 The advent of API driven environments provides us with the opportunity to change all this and here I discuss the concept of the Self Learning Control Layer (SLCL). The SLCL is an intelligent overlays to VoIP networks driving efficiency, reducing costs and making it easier to add new products and services. Data mining is used to monitor activity and health in a network. Call Control is used to effect change to traffic routing based on information provided by the Data Mining and Orchestration. Orchestration makes provisioning decisions based on predefined policy, inputs from both the network and from end users. Routing policies altered by a change in an user’s status (eg from “business” mode to “personal”) or the provisioning of additional capacity based on the addition of new users to a network. The SLCL is designed to make your network easier and cheaper to operate to make your customers happier. Being API based it also makes it easy to integrate with your existing network infrastructure. The SLCL is a concept developed by Netaxis who provide all the building blocks you need to implement it. I’ve already discussed elements of the SLCL in my posts and workshops on VoIP Network Monitoring, fraud detection and call simulation. My next focus is going to be on Session Routing Engines. The SRE is a key component of the SLCL and is the heart of the Call Control function. The SRE is the subject matter of my next working lunch which is in London on Wednesday 3rd May. At this event we have a special guest, Laurent Debacker of Belgian telco Voo who is going to talk us through their own implementation of the SRE and act as a catalyst for a general discussion around this subject. You can check out details of the event here. It’s free to come to but you have to be a VOIP network geek for it to be worthwhile for all attendees – we want an active discussion on this subject and places are limited.